You never know when you will make that all important first impression on your customer, so be ready for it at all times. You have to be careful with how you carry yourself. It’s very important, and even though I have talked about it before, I feel it’s important enough to mention it again — but in a deeper discussion. A lot of people only try to impress when they think there’s a sale involved but the first impression that your customers perceive about you is what really counts. You won’t get anywhere with the sale if that first impression was not effective. Spend some time thinking about the first impressions you have made in the past. Most business owners think that the first impression a customer will see is when they walk into the store and come up to the counter to speak to you, but that is not the first impression they get. Think in a bigger picture. The first impression that a customer ever gets is before they even enter your store — your store front. What does the outside of your store look like? Is it outdated and in need of a few repairs, or is it fresh and eye appealing? When was the last time you freshened up that sign or changed the store front display? Is everything accurate in your window? The outside of your building and store front speaks volumes to your customer and the kind of business person you are. That is the first impression you leave with your customer. If you have employees that work for you, you might not think about the impression they make on your business, but your customers pay attention to all of that — vehicles, representatives, staff — all of these play a huge part in the role of the first impression towards your customer. Have your customers met any of your staff? This may be the first impression of your business they get so what are your staff members like? Are you controlling the way they speak? Are you controlling the way they act? Are you controlling the way that they drive the business vehicles around? Are they keeping the company vehicles clean and neat? Are they hanging outside the front of your building smoking just outside the front entrance? You might not think about these things, but what the customer’s and their point of view? Take the time to train your employees to put the customer’s view first and not their own. This involves training and involving the staff in the process as well. That first impression is a done deal once it’s been done it’s in the customer’s head and very, very hard to undo. It’s a lot easier to form it carefully in the first place. Your business cards, your quote letters, the look of your website is not all that important as the first impression. They still need to be professional, just like your business, but they are not as important as that first impression. Everything you do for your business needs to leave a great first impression. For example — these podcasts that I do. I’ve been making a number of them now but who knows when someone is first going to come across them. I have to look my best, talk my best, and present my best in each one. Potential customers could come across them at any time. So I need to leave my best first impression in each podcast I do. Start paying attention to these areas when thinking about first impressions. Ask yourself questions like — “What about in my emails? What do I wear when I am posting videos? Do I have trash in the background? Where is it? Am I speaking clearly in the microphone? Am I speaking at a distance into the camera and sounding cheap? Think about it. The customer will. Today I am going to recommend an Englishman Chris Ducker. Chris Ducker left England many, many years ago and has lived in the Philippines. He is a very experienced entrepreneur, runs an outsourcing center amongst other things and has mentored many and master-minded many. He interviews others, he explains stories he has learned from his week. His podcasts vary in length from 10 minutes all the way up to an hour long, bu they are always interesting and always on point. 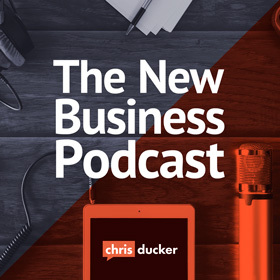 I recommend you go and have a listen to Chris Ducker and his new marketing podcast. After that, give him a rating. He would appreciate it. And once you are there, why not make sure you give a rating to the Marketing for Owners Podcast too. I would appreciate it greatly. 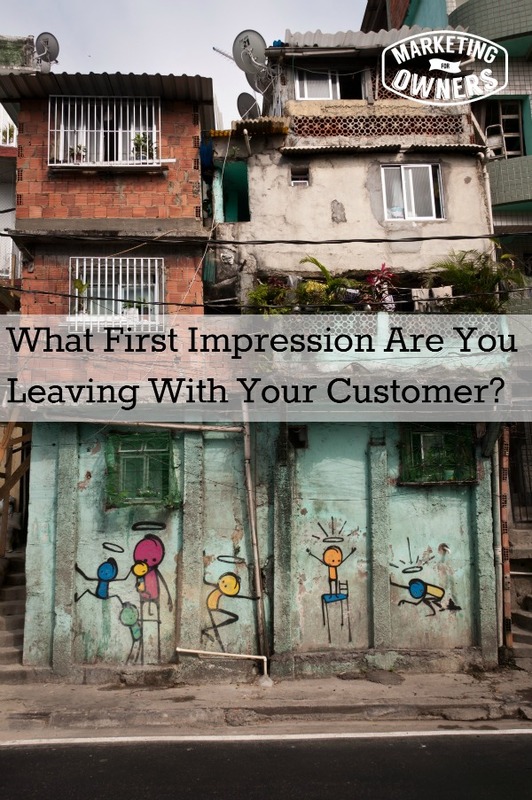 So — what kind of first impression are you leaving?